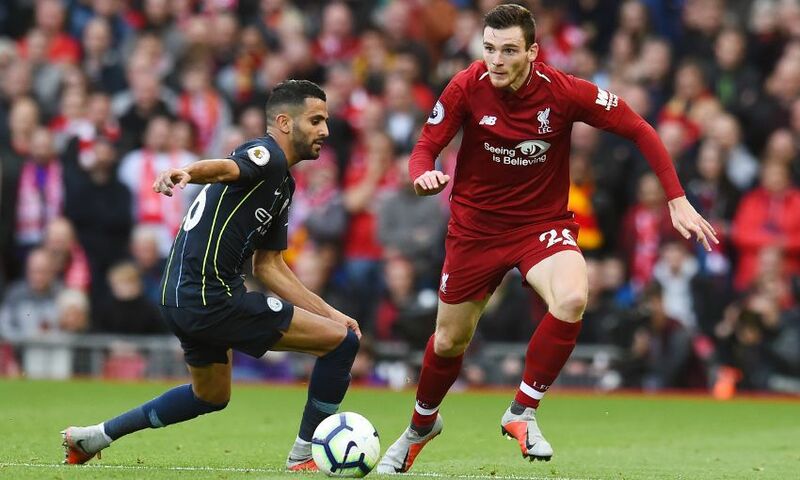 Liverpool will not think about Manchester City until the sides meet in the New Year, insists Andy Robertson. The Reds and the reigning Premier League champions – both unbeaten this season – are separated by two points at the top of the table, with a slight gap to the rest of the chasing pack following the midweek round of fixtures. This weekend, it is Jürgen Klopp’s side who play first, with Liverpool’s trip to Bournemouth preceding City’s game at Chelsea on Saturday. But speaking ahead of the lunchtime kick-off at Vitality Stadium, Robertson stated the Reds’ determination to focus only on their own form. “When you look at it and say, ‘You’d be unbeaten at the start of December’, you [think] you’d be at the top of the league – but we’re not. We’re still chasing City,” the left-back told Sky Sports.